Three new places to eat, stay, and explore give the coastal city fresh appeal beyond its beaches and vineyards. Santa Barbara has served as the go-to hideout for Los Angeles’s weekenders since the days of Marilyn Monroe and Gary Grant. It’s the kind of place where time slows, the city’s classic restaurants and hotels remaining exactly as they always were—usually encased inside beautiful Spanish Colonial heritage buildings. But every once in a while a newcomer or two comes to town and gives the scene a jolt of new energy. Here, three openings to check out on your next visit. Blending subtle British elegance with the swagger of a Parisian grand café, Somerset, the latest from Los Angeles–based designer Steve Hermann, is fittingly set against the photogenic backdrop of the American Riviera. 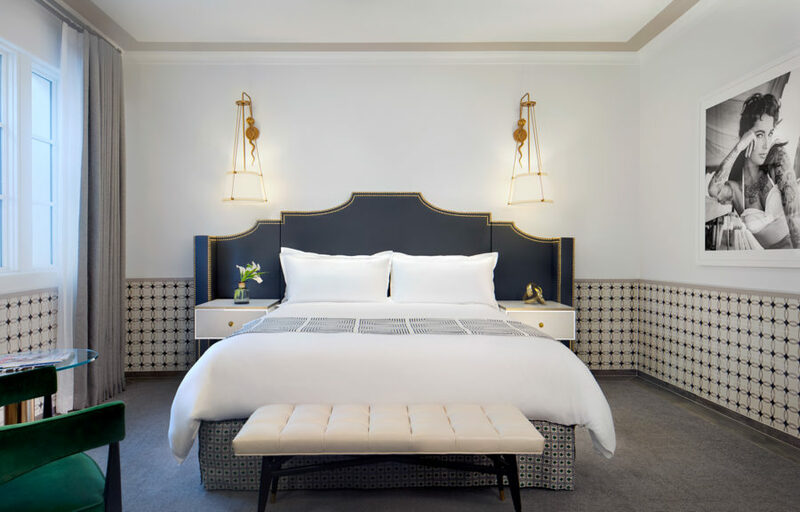 “It’s heavily influenced by Europe’s classic spots but still has its own DNA,” says Hermann, who most recently lent his swank sensibilities to a dramatic resuscitation of the neglected Horizon Hotel, a midcentury Palm Springs classic that once doubled as a Hollywood haunt. 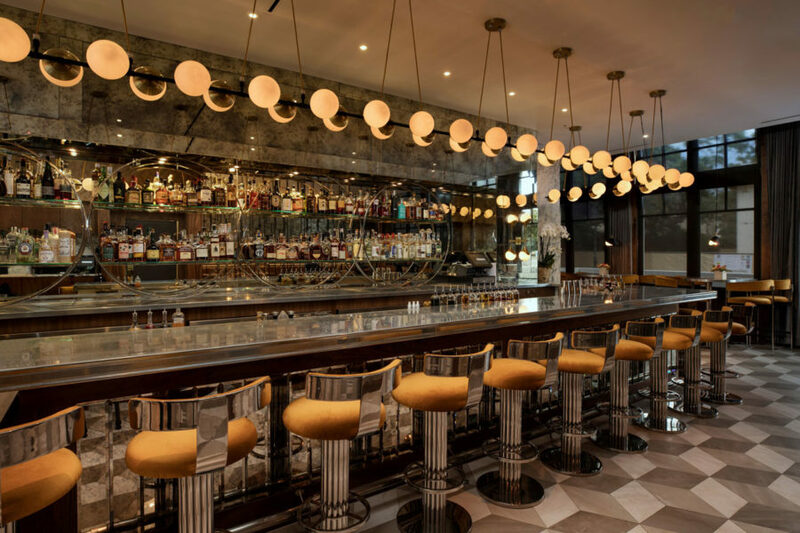 Decked out with polished zinc tabletops, cushy chesterfields, and a wraparound walnut bar, the Mediterranean-inspired eatery epitomizes cosmopolitanism. Its idyllic courtyard, flanked by century-old olive trees, exudes a charm that’s distinctly coastal. That description also applies to chef Lauren Herman’s menu of uni spaghetti and local mussels with pork belly and green garlic. “Much like Santa Barbara, the restaurant is a mix of past and future,” Hermann adds. “I wanted to create something that would withstand the test of time.” A subtle hint of his aspirations for the Somerset is betrayed by the original soundtrack playing each night: It was created by the DJ from Paris’s legendary Hôtel Costes. Steps from the beach and near the Funk Zone’s galleries and tasting rooms, designer Martyn Lawrence Bullard has breathed new life into the 1925 Spanish Colonial Hotel Californian, fashioning the interiors and 121 rooms with a modern Moorish design, including the Moroccan-style spa and boutique run by Maris Collective. 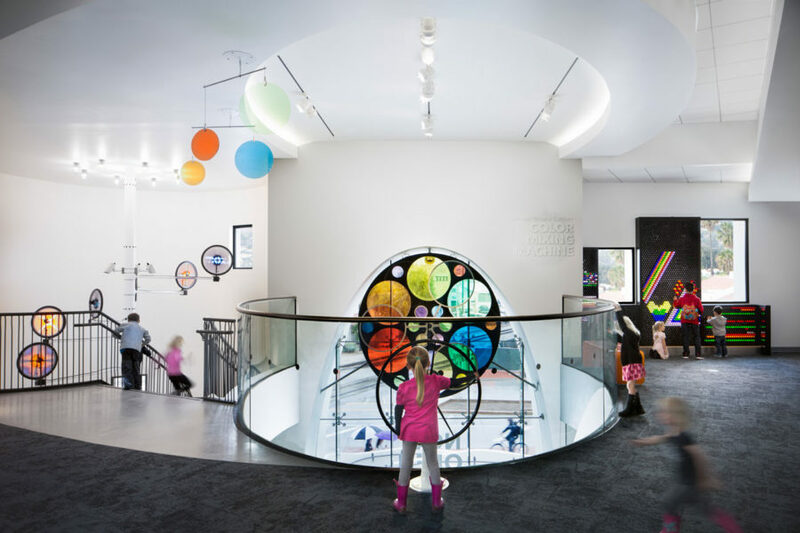 Just down the road, late architect Barry Berkus and AB Design Studio were commissioned for the new MOXI, the Wolf Museum of Exploration + Innovation. A massive playable guitar, Foley sound studios, 3-D printers, and a rooftop Sky Garden outfitted with telescopes await visitors coming to explore the concepts of light, sound, speed, and color.